Saker Baptist College Limbe is an all girls' school that was founded in 1962 in Cameroon and the goal of its founders was to produce well-adjusted, well-rounded, women who would contribute meaningfuly and significantly to their respective communities. To this end, they established a curriculum that went beyond academics & faith to include skills that would equip its graduates to excel both in the workplace and at home. Subjects like Sewing & Cooking were therefore offered from the very inception of the institution. 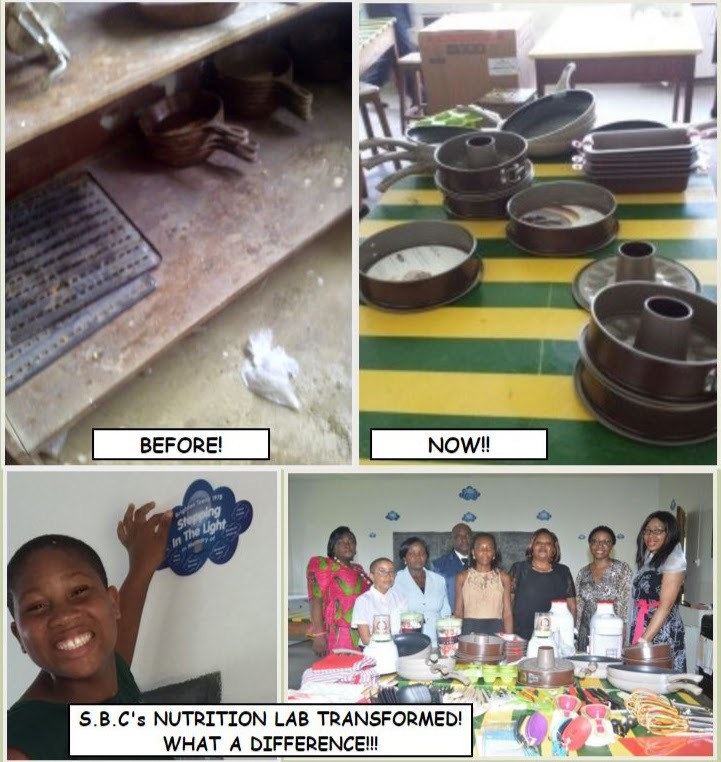 Unfortunately, as the posted collage shows, the Food & Nutrition Lab is in a very deplorable and downright unhealthy state. We, The Alumna of this reputable institution are intent on righting this state of affairs and would very much wish to raise the necessary funds by the end of this month (February 2016), so that the Students who are currently registered to sit the Food and Nutrition General Certificate of Education (GCE) Exam would have a fair chance to be successful, something which can hardly be expected to happen with only 2 gas cookers functioning, and no refrigerator!!! 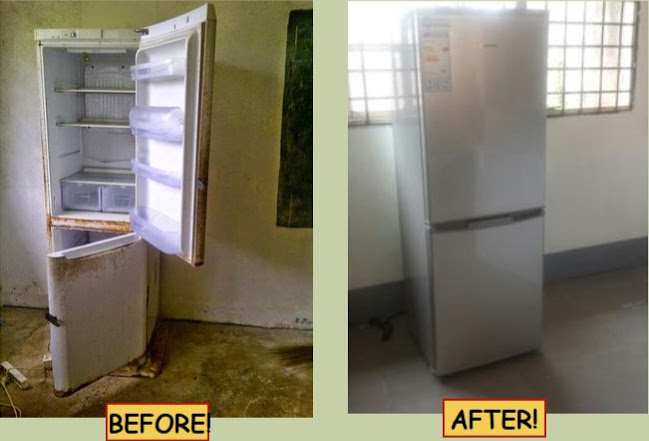 The plan, based on ON-SITE estimates carried out by ExSSA-UK, (The wing of our Alumna Association that is based in the United Kingdom), is to get at least 10 Gas Cookers @ 245,000 frs. 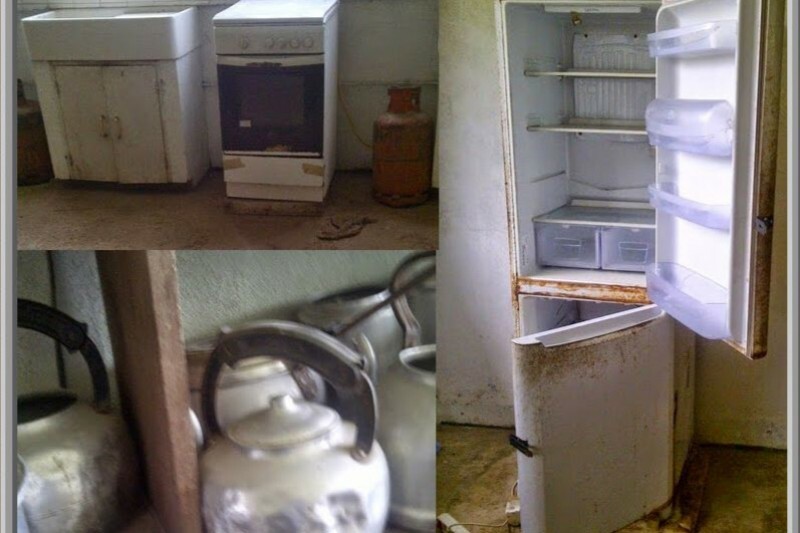 (approximately $425) a piece and 2 Refrigerators @ 600,000 frs (approximately $1,030) each. The Principal, Staff, Students and We, The Alumna of SAKER BAPTIST COLLEGE would be forever indebted to you for your kind assistance no matter the size of your donation. We all know of lofty, some times well-intended projects that have been TALKED about, but never EXECUTED; Some that have been UNDERTAKEN but never come to FRUITION; Still others that have taken CENTURIES to complete; And of course, there are quite a few for which there are NO ACCURATE, PHASE-BY-PHASE, TRANSPARENT records or accounts to be found anywhere on the globe! The ExSSA-UK led, "STEPPING IN THE LIGHT" (SITL) PROJECT which is responsible for the AMAZING FACE LIFT that SBC's NUTRITION LAB has just undergone, definitely does NOT fall in any of the aforementioned, unfortunate categories. Instead, it STANDS OUT as a worthy example of what can be achieved when generosity, commitment, dedication, cooperation, selflessness, wisdom and honesty converge ... and HE WITHOUT WHOM HAS NOT ANYTHING EVER BEEN MADE THAT IS MADE, oversees the entire process! - VIEW THE PICTURES FROM THE THANKSGIVING AND PRESENTATION OF EQUIPMENT & UTENSILS which took place at SAKER BAPTIST COLLEGE 3 SUNDAYS AGO, which TELL THE STORY FAR BETTER THAN ANY TONGUE POSSIBLY COULD!!!! With Profound Gratitude to ALL who made this happen, and to He who has willed it into existence and who alone deserves THE GLORY! GREETINGS, Dear Donors & Well Wishers! In these times when there just doesn't seem to be too much happening worth smiling about, it is sure to be very uplifting to observe something that will definitely remind you about the trite but true statement which affirms that: WHERE THERE IS THE WILL, THERE IS A WAY!!!! The BEFORE & AFTER PICTURES, the RECORDS (LISTS OF DONORS) & especially the moving DEDICATIONS (TRIBUTES) that accompany them speak, (if not SCREAM), LOUDLY for themselves!!!! True, You might shed a tear or two as you gaze into the faces of some of the Fallen Sisters and Departed Relatives in whose names some of the donations were made, but I am pretty sure the overall feeling you'd walk away with would be one of PRIDE & SATISFACTION, particularly if you happen to be one of those who actually helped make this AMAZING TRANSFORMATION happen - IN RECORD TIME!!! "THANK YOU" doesn't even begin to suffice!!! 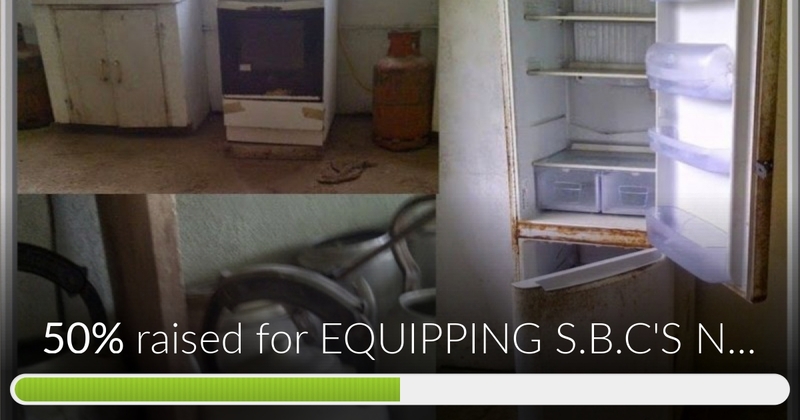 EQUIPPING S.B.C'S NUTRITION LAB has reached 50% of its goal. OYAAAAAAAY THANK YOU, Dear DONORS - CURRENT & SOON-TO-BE!!!!! !